When Huxley reads in the paper that Lady Agatha has been kidnapped he knows that only an ace reporter could uncover the real story behind the headlines. 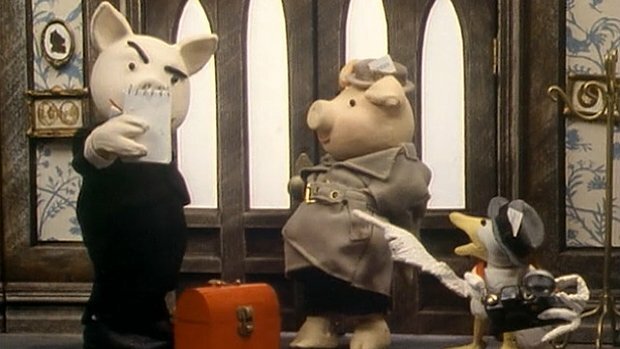 In his dream, Huxley Pig and Sam Seagull, ace crime reporters, investigate the suspicious characters at the Manor. There's Vile Vincent, the creepy butler, Horace the chauffeur and Lady Agatha's pet, cuddles. All of whom have something to hide.